Katie continues. “The threats escalated, and the second time I went for a restraining order, I met with a different judge. I had more proof and more evidence that Stephen was threatening me and Wyatt,” she explains. “The judge felt there was no threat, so he denied it. The same day, I checked my e-mail, and I read a story that Stephen had written. There was a happy ending and a tragic ending. In the happy ending, we would have a happy family again, and the tragic ending was Stephen killing Wyatt and himself. I had gone to the police, and the police officer got me my emergency protective order. It lasted for a week. [AD]”The next time I saw Stephen, we were in court. It was my third attempt to get my restraining order. I thought with the full restraining order, Stephen would have supervised visits with Wyatt, and Wyatt would be safe, and I would be safe. Judge Lemkau denied me. He claimed that I was lying, and I tried to plead with him. He wouldn’t listen to me. He just kept saying I was lying. The judge was just so dismissive and so cold, and I remember walking out of the court room, and Stephen was holding open the door, and he was smiling at me. It was one of those smiles like â€˜Ha ha, I won. That’s it,'” Katie says. Softly, Katie says, “I wanted Wyatt back, and I wanted Wyatt back safe. I called 911. The police rushed over to his house, and he was already gone with Wyatt by then. He was in the area. He was watching his house. He called me, saying, â€˜Why did you call the police? I told you not to. You ruined everything.’ For hours, I was trying to plead with him, tell him it didn’t have to be like this, everything would be fine, we’ll figure something out. The last phone call I got from Stephen was him screaming at me, just telling me, â€˜Tell the police to get off me. Tell the police to get off me, or else I’m going to do it right here, right now.’ Wyatt’s in the background, and I can hear him screaming and crying.” With a trembling voice, she says, “I can hear Stephen start clicking his gun back, and that’s when the phone call cut out. [AD]”Later, the detectives called me and said, â€˜We’re going to come out to your house and talk to you about Wyatt.’ I was hoping that they were going to be bringing Wyatt to me that morning,” Katie says, struggling to speak. “And they came â€¦ They didn’t have Wyatt. The detectives told me that the police were chasing [Stephen], and Stephen pulled over and shot Wyatt and shot himself. 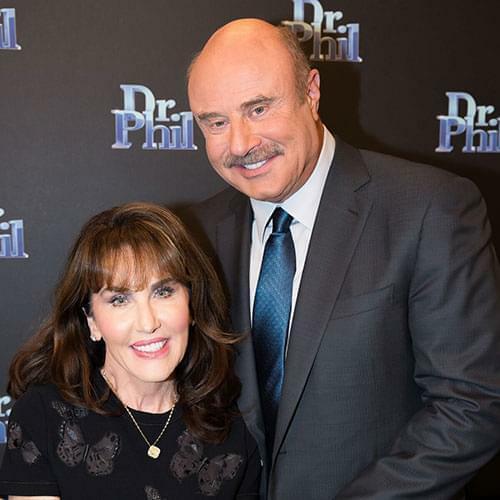 Dr. Phil offers his condolences to Katie and her mother, Maria. He points out that Katie had evidence with her to show the judge ” texts, e-mails and the like ” to prove Stephen was unstable and dangerous. “Every time I went into the court, they just ignored it,” she says. 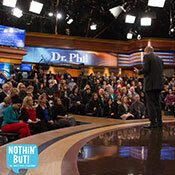 Dr. Phil reviews the court transcript detailing what happened during Katie’s last meeting with Judge Lemkau. “[Stephen] wrote you a suicide note, which I have here, and it just goes on, page after page after page, which suggests to me, from a psychological perspective, that if you dug very deep with this person, you would find a lot of this sort of unedited anger and bitterness. 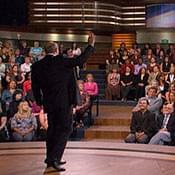 I’m just saying, I don’t know that this isn’t knowable,” Dr. Phil tells them. If I am unable to post this on my Web site, please make sure this is made public so everyone can read this. Respect this request please. Do not chop this up. Make sure everyone can read it in its entirety. There are a lot of messages here everyone needs to read â€¦ Everyone said to give it time. Keep going to court, keep doing what you’re doing. Nobody got it. Not even Katie. I didn’t want to fight Katie. I didn’t want to fight Katie. I didn’t want shared custody of Wyatt. I wanted my family back â€¦ To Katie’s family and friends: I will see you in * hell. I held the gun; you pulled the trigger. I cried for your help. I told you this would happen. I told you to help me get my family back, but you laughed at me. You hate me? OK, well, tell me when you join me in hell â€¦ Katie, K80, Babe, my love, my * * true love, Mommy, Mama. We love you. We are watching over you. We will be by your side. Just ask and we will come. Wyatt is safe now. Be happy for him please â€¦ I’m sorry for punching you. I’m sorry I made the wrong choices. I’m sorry I didn’t fight for you. Katie says neither she nor Stephen were ever evaluated by the court. [AD]Dr. Phil acknowledges Katie’s courage to put a face on this issue.